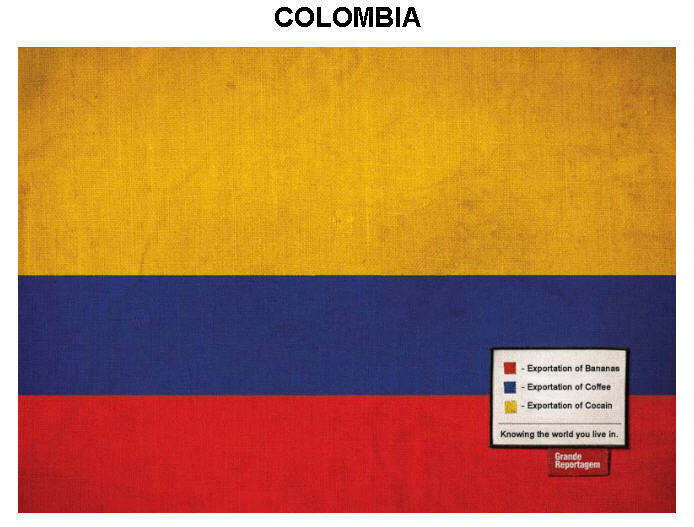 Data visualization is about the combination of visual and statistical thinking. Tufte uses the term Visual Explanations in the title of his latest book. 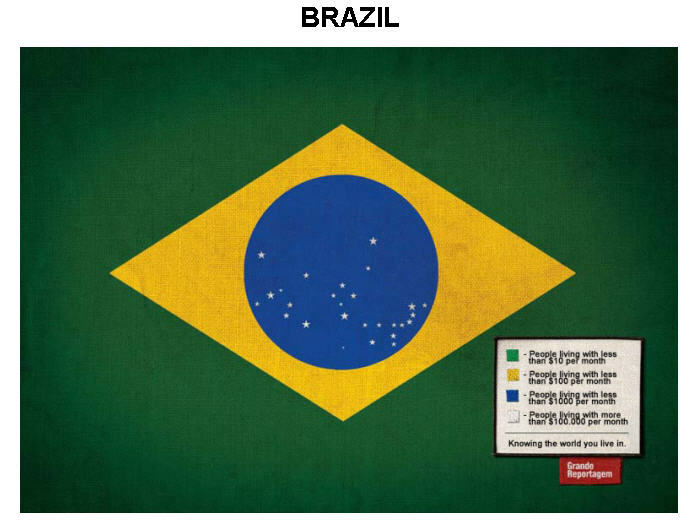 Here are a few examples of non-statistical visual explanations, visual thinking, and just plain fun. Mapping and the visual representation of information structure has been challenged by the World Wide Web and other emerging Cyberspaces. The Atlas of Cyberspaces project at University College, London provides a visual atlas of maps and graphic representations of the geographies of new electronic territories on the Internet. This image, from the Web Site Maps page shows a fish-eye view of a web site map constructed dynamically by Mapuccino, a Java application for interactive visual maps of Web sites developed by the IBM's Haifa Research Lab in Israel. Not all thematic maps have to have a serious purpose. Cartes gastronomiques were quite common in the early 20th century and many fine examples are held in the Bibliotheque Nationale. 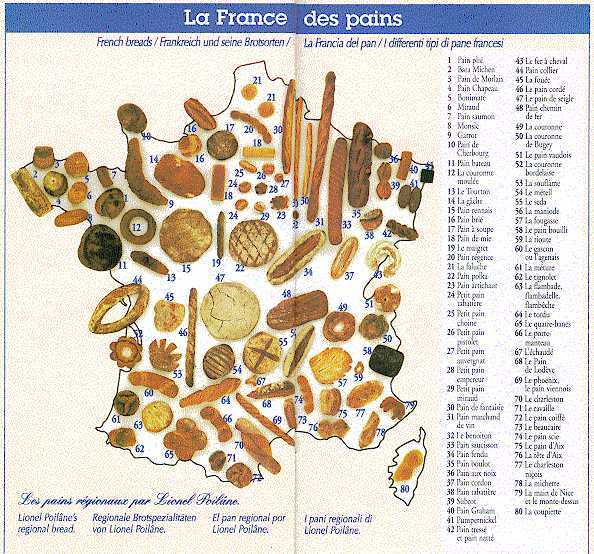 I found these examples in a brochure distributed by Coté France on the Autoroute du Sud. 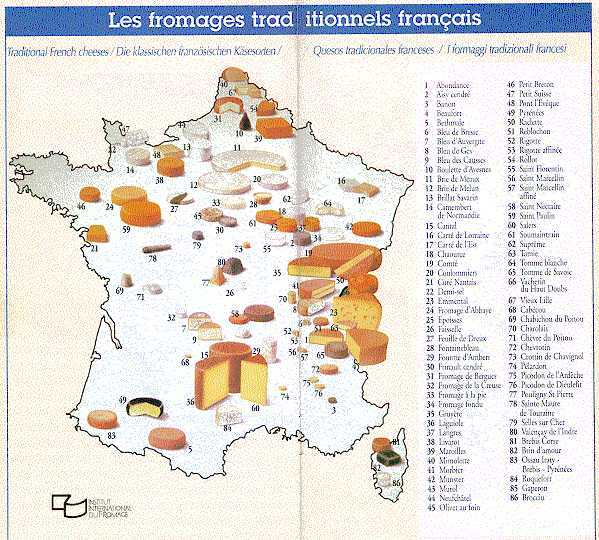 Now, what's the shortest distance between a Cantal and a pain de mie?. A collection of graphics illustrating the 17 plane symmetry groups with wallpaper patterns, by David Joyce at Clark University. See also: Symmetry and the Shape of Space by Chaim Goodman-Strauss. Xah Lee's Tilings and Patterns site contains a large collection of wallpaper designs based on geometrical motifs, Mathematica software, and links to many other related sites. Mark Phillips' Java Kali lets you draw wallpaper patterns based on any of the 17 plane symmetry groups. A collection of knots and links by Robert Scharein at UBC, viewed from a (partly) mathematical perspective. The images were created with KnotPlot, a program to visualize and manipulate mathematical knots in three and four dimensions. A site devoted to tesselated designs -- space-filling, repetitive pattersn in art and mathematics including some history, mosaics and tilings, Escher, and more. How can we portray a chronology or history visually? Timelines are usually long (time) and thin (dated information), but there are often multiple layers of information--- text, images, bibliographic references, and so forth. Proofs are usually dry, dusty stuff sprinkled liberally with symbols. What about proving something with a picture? This proof of the Pythagorean Theorem is attributed to Bhaskara, a Hindu mathematician of the 12th century. We are given the bottom right triangle. Construct a square by making three copies of the triangle, as shown. Got it? The side of the small square is b-a, and its area is (b-a) or b-2ab+a. The area of our triangle is ab/2. The area of all four triangles is 2ab. Then the area of all four triangles, plus the area of the small square is b+a. So c=a+b. Symmetric Venn diagrams Venn diagrams are often used in logic to show intersection relations among sets, but they are usually limited to being shown as three overlapping circles. Here is a page that explains a general way to construct symmetric Venn diagrams using ellipses. The example shows a Venn diagram made from 5 congruent ellipses. The regions are colored according to the number of ellipses in which they are contained: grey = 0, yellow = 1, red = 2, blue = 3, green = 4, and black = 5. Note that the number of regions colored with a given color corresponds to the appropriate binomial coefficient: #(grey) = #(black) = 1, #(yellow) = #(green) = 5, and #(red) = #(blue) = 10. The Electronic Journal of Combinatorics has many other lovely examples and visual explanations. We started to research relevant, global, and current facts and, thus, came up with the idea to put new meanings to the colours of the flags. We used real data taken from the websites of Amnesty International and the UNO. The campaign has been running in Portugal since January 2005. 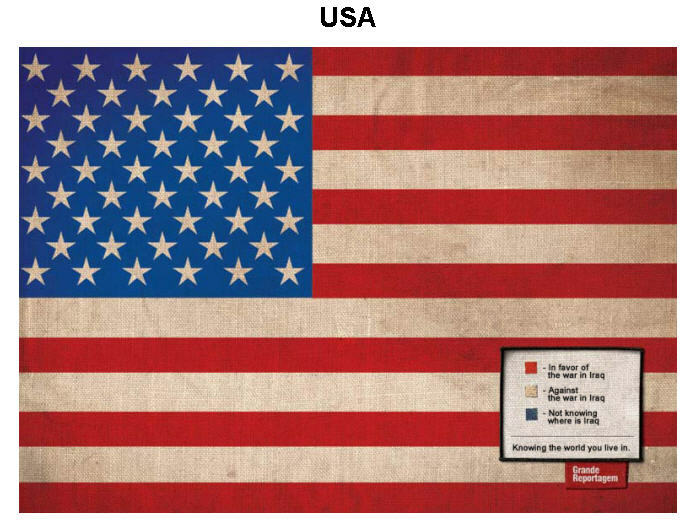 There are eight flags that portray very current topics like the division of opinions about the war in Iraq in the United States, the violence against women in Africa, the social inequality in Brazil, the drug trafficking in Columbia, Aids and malaria in Angola, etc. In the enigmatic Canon 1 a 2 from J. S. Bach's "Musical Offering" (1747) (also known as "crab canon") the manuscript shows a single score, whose beginning joins with the end. 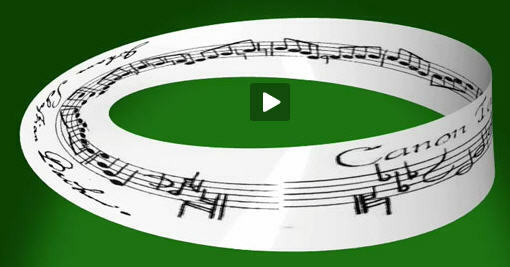 This space is topologically equivalent to a bundle of the line segment over the circle, known as a Möbius strip. The simultaneous performance of the deeply related forward and backward paths gives appearance to two voices, whose symmetry determines a reversible evolution. Description: For those of you who are fans of fractals, Mandelbulb: the 3D Mandelbrot fractal is an amazing website. The original Mandelbrot 2D fractal is an amazing mathematical and graphical object that has captured the public's imagination for 30 years, and it has been an open question of whether there exist 3D analogs. 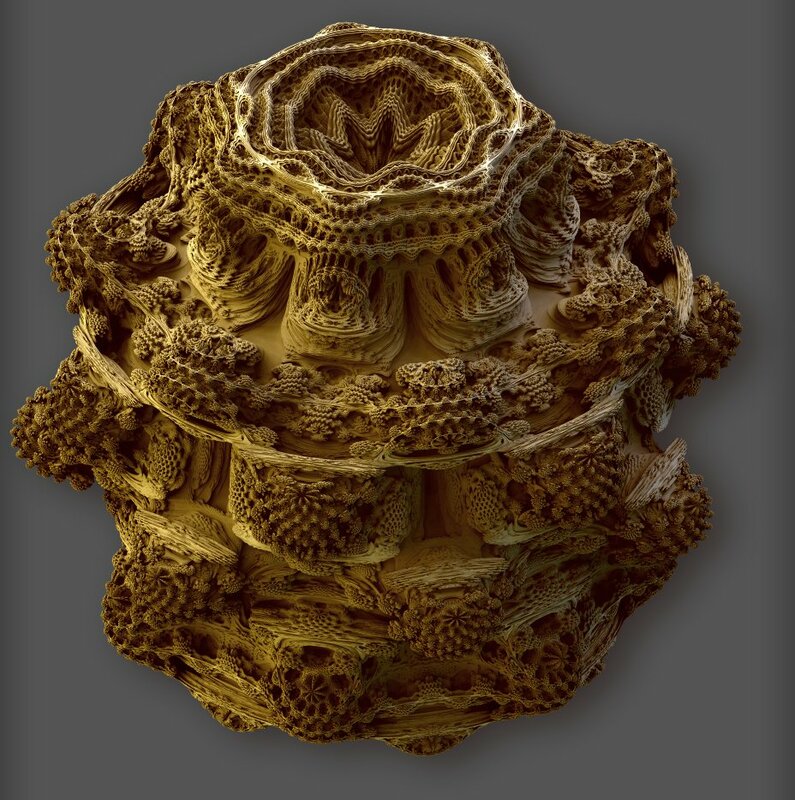 Daniel White has developed a 3D analog of the Mandelbrot figure (a "Mandelbulb") and produced some pretty incredible pictures of its infinitely detailed surface. Creative Commons Attribution-NonCommercial 3.0 License. Please cite any uses of this work as shown below.